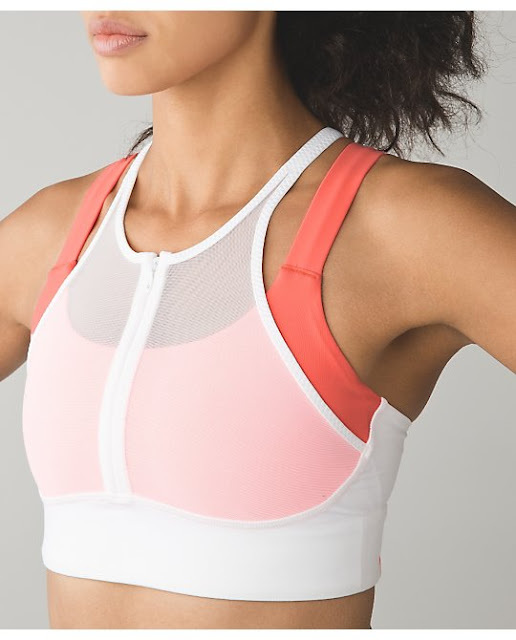 Not too many brand new items shown today and nothing I am dying for, though I am curious to try this new tank style on - White Double Dot/Light Flare Ready Set Sweat Tank. When will the ready set sweat tank in white double dot be available in the u.s? What a lovely thong on the back of the Ready Set Sweat bra. Ready Set Sweat Tank looks like a constricting struggle to get in and out of.